The 2017 Outdoor Track & Field National Championship multi-event qualifiers were announced today. Joe Dotson is the only underclassman ranked in the top four for the decathlon. Day two begins at 10 this morning at the SOU track. 100-year old Dan Bulkley will be running the 100-yard dash at about 10:50. Full schedule here. SOU freshman Joe Dotson came in 5th place in the decathlon at nationals for the Raiders today. More details here. Welcome to installment #25 in “The Whole Picture” in which I present the uncropped, higher resolution versions of photos that SOURaiders.com has published. For prior editions click here. For higher resolution click on the photo before saving. As always, these are best viewed on a big screen rather than a cell phone. Some of you may have found your way here through the link on souraiders.com. I have had several people email me asking questions about buying prints or about finding all of my photos for a certain sport. The photos I post here are a small fraction of the photos I actually have. If you would like to print any of the photos on this blog, you are welcome to do so at no charge. Be sure to click on the photo to get to the higher resolution size which will print with more quality. If you want to use them on the web (Facebook, Twitter, etc. ), you are welcome to do so if you link back to traveljapanblog.com/ashland in the description of the photo. If you are using the photo in a newspaper or magazine, please credit “Al Case, Ashland Daily Photo”. If you would like me to search through all of my photos and send you photos of the particular athlete you are looking for I charge a reasonable fee for the time it takes me to find all of those photos and to process them for you. I do not normally sell prints. I email you the high quality electronic files in .jpg format, and you can do the printing and framing yourself through a local or online service. My email is on this page or you can comment (leave a reply) to a blog entry to communicate. To find all of my photos for a particular sport, use the following links. Click on “Older Entries” near the bottom-left of each page to view more photos. The heptathlon is over, and favorite Tiana Thomas took first place again. Freshman Joe Dotson of Southern Oregon is clinging to a slim second-place lead heading into the final events of the decathlon. Oregon Tech’s Seth Gretz, one of the NAIA’s top decathletes, has a large lead. 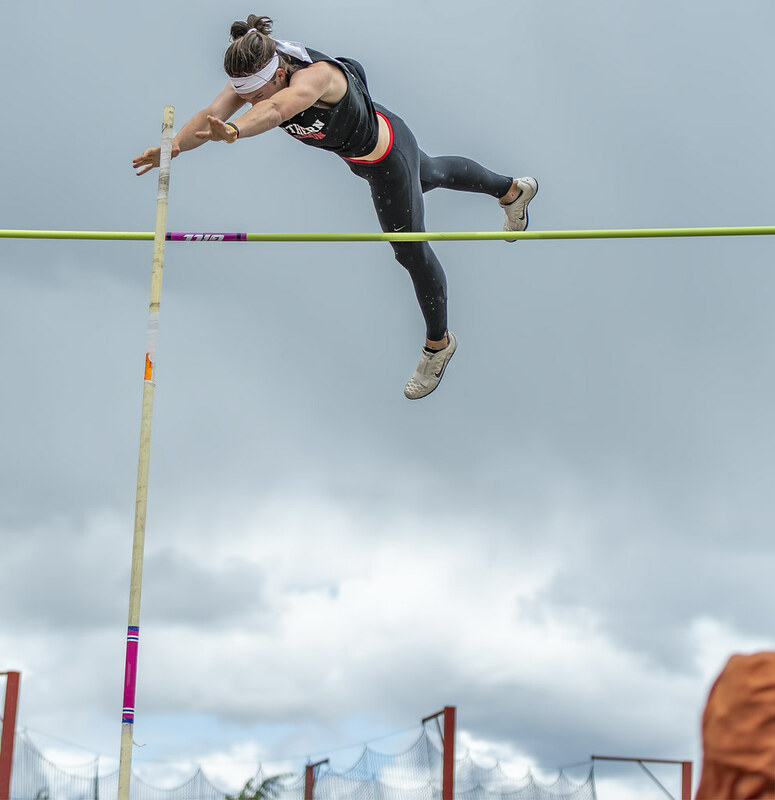 The CCC heptathlon and decathlon are happening today and tomorrow at Raider Stadium in Ashland. You can watch the events live or follow the results online here.